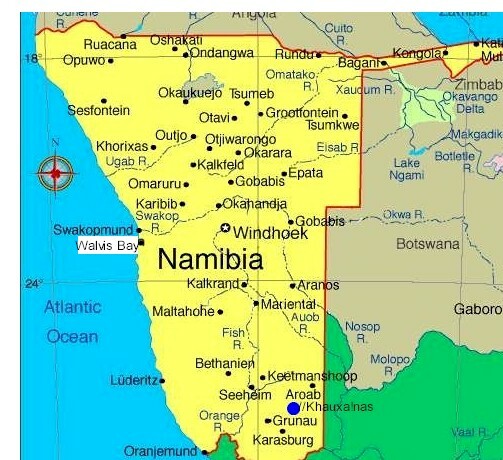 Lake Oanob Resort is located around 80 km south of Windhoek, near small town Rehoboth, off main B1 road to the southern Namibia. Would you like to discover one of the most beautiful and peaceful countryside in the world? Are you looking for peace and relaxation? If so, the you h ave chosen the right address to make your dreams come true. Lake Oanob Resort project was chosen with the principal of keeping the landscape the way it is. In this wonderful area you can discover one of the most beautiful and quiet places on earth. Conserving a vanishing way of life. If you've stayed with us, my "kuame" (meaning friend) you've helped to make this dream come true. 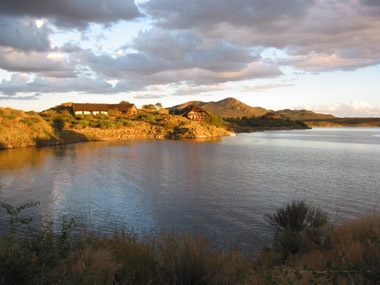 Lake Oanob Resort offers a range of waterfront accommodation possibilities such as luxurious Chalets, en-suite rooms and campsites. The Resort is built on the banks of the very scenic Oanob Dam. Majestic mountains are set on fire by spectacular sunsets. From your patio you can see the reflections of the moon and stars on the lake. 6 200 ha of unspoiled nature provides the perfect haven for an abundance of free roaming game. 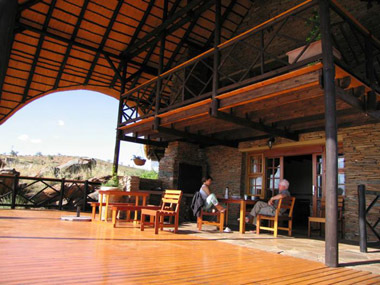 An a la carte Restaurant and fully licensed bars will make your visit complete and unforgettable. The Resort provides activities for all age groups and levels of excitement, from water skiing, canoeing and to relaxing sundowners by boat. The floating pontoon has a bar, music facilities and toilet on board. 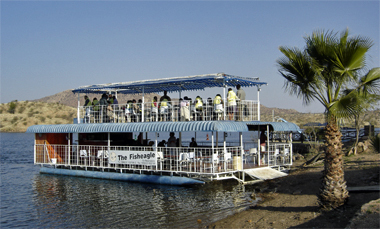 Pontoon goes out only on reservations, for beautiful sundowner cruise or for functions, parties, weddings etc. with meals. Lake Oanob dam reserve near Rehoboth is surrounded by rugged, stony hills, mountainous areas. 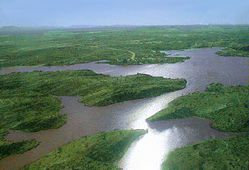 It offers a magnitude of fish, birds and mammals. 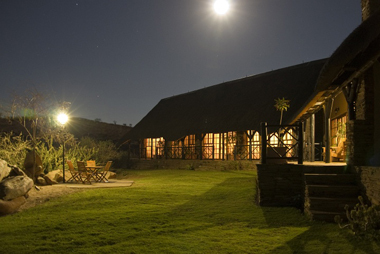 The Resort lies directly at the dam and presents to you the finest in waterfront accommodation. 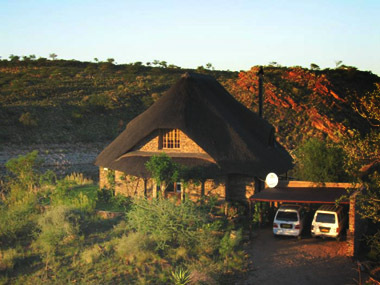 Accommodation: You can choose between en-suite rooms (single, twin and family) with a verandah, or family suites with two adjoining bathrooms with showers, kitchenette, satellite TV, verandah or chalets with two or three adjoining bathrooms, fully equipped kitchens (microwave, stove, cutlery, crockery, pots, pans, etc. ), hi-fi, satellite TV, private verandah with build in BBQ and overlooking the Oanob Lake and mountains. All facilities are overlooking the Oanob Lake and mountains and got gardens with lawns in front, units for the physically challenged and baby beds on request. An a la carte Restaurant and fully licensed bars will make your visit complete and unforgettable. 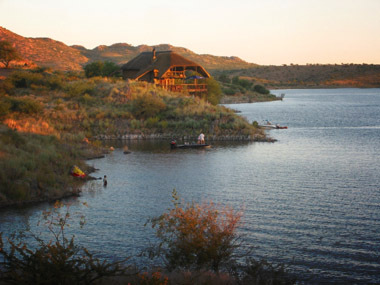 The Resort provides activities for all age groups and levels of excitement from, water skiing, canoeing, and horseback riding to relaxing sundowners by boat. Fish Eagle the floating pontoon with toilet, bar and music facilities on board. Pontoon goes out only on reservations, for beautiful sundowner cruise or for functions and parties. * Entrance fees are payable strictly on arrival.